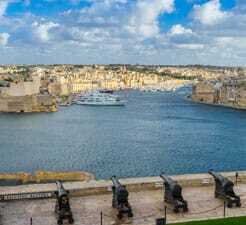 Use Direct Ferries to compare and book your Ferry to Valletta in Malta to get the best deal. Our unique ferry price comparison tool will compare numerous sailing departures around your preferred option with all available ferry companies as well as crossings to other destinations in addition to Valletta to guarantee you have all the information you need to decide on which is the best option in one fast and easy search! Efficient, comfortable, hospitable. Only complaint is that there is no signage for the town when you arrive as a footpassenger in valetta. No buses - only option is to walk( at least 2km) asking directions if you don't want to take a taxi. People very friendly.